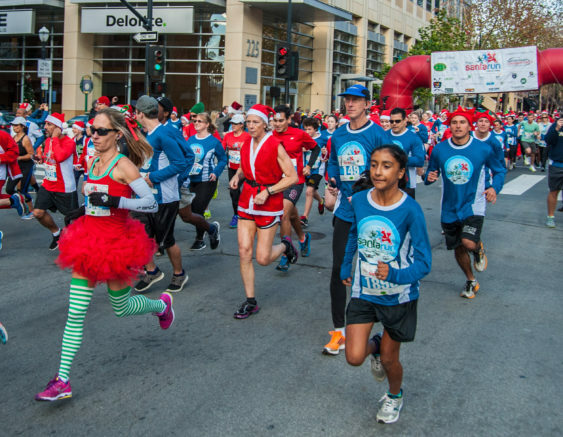 Join the Santa Run Silicon Valley on Sunday, December 16, 2018 at 3:30 pm, sponsored by Google benefiting Christmas in the Park and Downtown Ice. Santa, Mrs. Claus, the Grinch, reindeer, elves, dreidel, menorah, ornaments, tree, candlestick. The ideas are limitless.